« Western Veteran Cherokee Parks Racing Up The Bestseller Charts For The Second Year Running! Love Westerns? 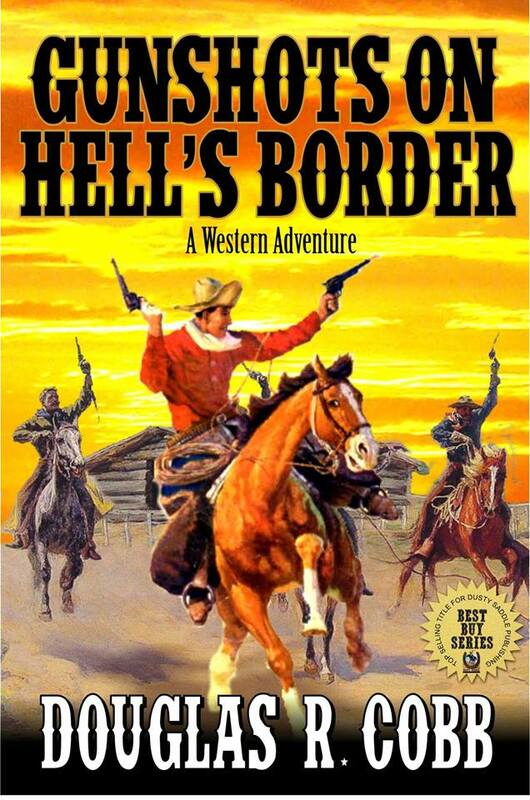 Have you tried “Gunshots on Hell’s Border” from Douglas R. Cobb? Matt “The Boot Collector” Hardy leads an interesting life as a bounty hunter in the territory surrounding the wild town of Fort Smith, Arkansas, otherwise known as “Hell’s Border.” Living by his own rules, he always gets his men, more often dead than alive, ridding the area of the meanest outlaws, and adding their boots to his collection of trophies. A family man at heart, when he isn’t hunting outlaws, he lives peacefully with his wife and son on his farm across the river from Hell’s Border. Everything changes, however, when evil crosses that border and invades his family. This revised Cobb adventure is now heading to Amazon. Just grab it– for the best Western enterainment your buck can buy!